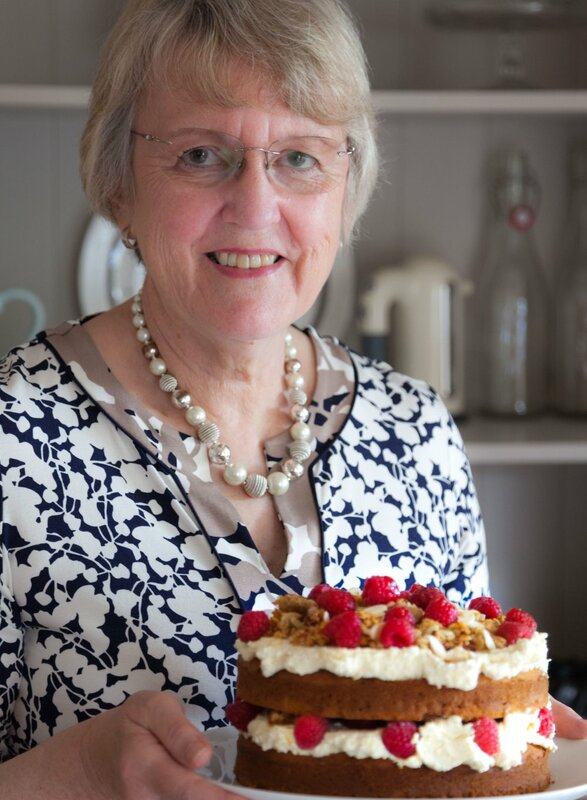 The founder of the Clandestine Cake Club, Lynn Hill, tells us how and why she set up the Club, which now has boasts 180 clubs worldwide and why, most importantly, the Clandestine Cake Club operates a ‘whole cake’ rule: no buns or brownies allowed. What spurred or motivated you to get people together over tea and cake? The idea to create the Clandestine Cake Club (CCC) came in 2010 when I was running the Secret Tea Room in my own home. I served homemade afternoon tea to people, who booked a place online. The location was only given to those who booked a place. This was something I enjoyed doing. After a few months I realised how much people loved to get together and have convivial conversation where food, or in this case tea and cake, were at the heart of bringing like minded people together. I wondered how I could extend this concept and get people to do the baking themselves. I searched the internet, and at that time there were no cake clubs or baking clubs at all. So I decided to create the first club in Leeds on 11 December 2010 and I have never looked back. 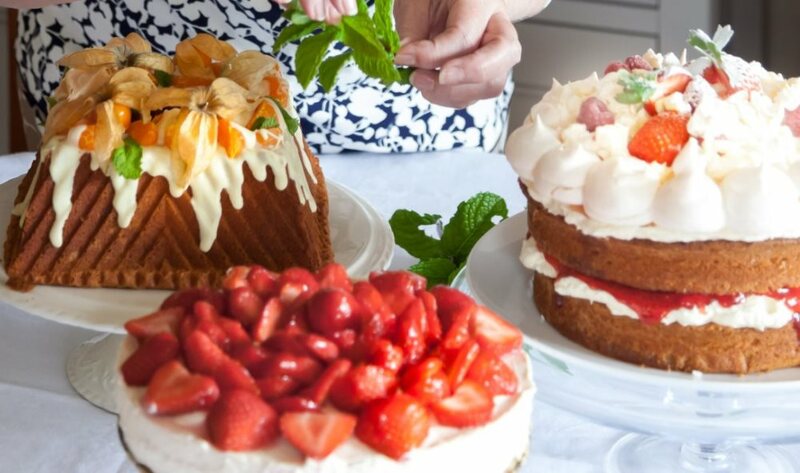 After two years of running the Secret Tea Room and the Clandestine Cake Club simultaneously, I decided to close the doors on the Secret Tea Room to concentrate on building the community of home bakers that were registering with the website. A trickle suddenly became a deluge. After nearly six years, the membership is almost 19,000 people, with around 180 clubs around the world, two cook books and a free digital magazine. In a nutshell, I created the CCC simply because no-one else was doing it. I have a ‘can do’ approach to life and felt I had to give it a try. I just went for it to see what would happen. I never expected it to grow as big as it has. How did you go about putting your idea into action? Initially I put a call out on social media via Twitter, asking people if I created a cake club would anyone be interested. The positive response from many of my followers spurred me into action. I wanted the club to have the same secrecy as the Secret Tea Room and when someone suggested the word ‘clandestine’ I immediately created the Twitter account, bought the website domain name and built a website before I made any announcements. Setting up a website is pretty easy, even six years ago. I did everything myself. Over the years, people came forward to help with website design and the technical issues that occurred along the way: I will always be grateful to them. They continue to support me today. When did you notice there was the potential to take your project further? I had an inkling, right from the start, that it would take off for the simple reason that there were no other clubs like it around, other than perhaps the Women’s Institute. My gut feeling told me I may be onto something and I always go with that instinct: if it feels right, do it. You have strict rules around the necessity of (whole) cake – why? The simple answer? You can share a cake. There is interaction and conversation from the first slice, when you cut into the cake and ask the person next to you, “Would you like a slice? How big?” Revealing the inside of a covered cake often creates many “Oohs” and “Aahs”; multi layered cakes of rainbow colours and fillings reveal themselves for the first time in front of admiring cake lovers. A cupcake, muffin or brownie, simply lifted from the serving plate, does not quite have the same impact. There is an art to baking a good cake and when you have the chance to share what you make it gives many people the lift they need. Friendships have begun over a slice or three – people are transported away from their troubles and being part of the CCC has helped many people through difficult times, through mental illness and depression. How do I know this? The emails tell me, the conversations tell me. Being part of the CCC has changed their lives, taken them down different and exciting roads in their life and created new friendships through the simple act of sharing a cake. The CCC has now gone international, what do you think are its biggest success factors? I think its biggest success is that people love to get together. The fantastic organisers who find venues are some of the most enthusiastic people and bakers around. They help bring people together in their local area for a few hours of conversation and cake sharing. Whether it’s a book club or a cake club, people with a common interest will love to meet each other, and for those with depression, are new to an area or are feeling lonely, they will find that at our events strangers become friends very quickly. Do you have a favourite moment or milestone from this amazing journey you’ve been on? I have several. Myself and some of my members have appeared on many TV shows such as The One Show, Lorraine and Alan Titchmarsh’s show, and a few years ago we were lucky enough to be part of a documentary about cake with Nigel Slater. I’ve even had the pleasure of having afternoon tea at Bettys in Harrogate with Nadiya Hussain, winner of the Great British Bake Off. A lovely person and another favourite moment. Meeting some wonderful people, not only celebrities, but people in general, have been some of my favourite memories. Receiving the copy of my first cook book is another favourite that not everyone has the joy of doing. Each new experience becomes a favourite memory. What next for you and the CCC? My latest project is a free digital magazine called Sucré Kitchen, launched 1 September. A quarterly magazine with all kinds of recipes, including features from and about CCC members, bloggers who write about their home town and articles about the sweet things in life. You can keep up with Lynn and the CCC through Twitter and Facebook . You can share a cake. There is interaction and conversation from the first slice.